Do you need raised panel garage door installers serving Maryland and Washington, DC? Looking for repair services? Want to replace your old door and trying to decide on a style? Whatever your case, you can count on the Accurate Insulation team. We install short and long raised panel garage doors and can repair or replace your old door. Contact us today to schedule an appointment—or keep reading to learn more about raised panel garage doors! Do you need to install a new garage door? Raised panels—the classic style of garage doors—offer depth and distinction, helping enhance your home’s overall aesthetic. Raised panel doors complement nearly any style of home, from Colonial to bungalow and everything in between. Raised panels can be long or short. We’ll make sure you get the best door for your home. Need to repair your raised panel garage door? We can help! Whether your door won’t open all the way or a panel is dented, our professionals have you covered with our garage door repair services. Want to install a new raised panel garage door for your home or commercial building in Maryland or DC? 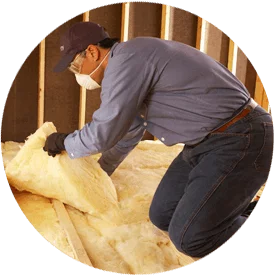 Accurate Insulation’s offices are in Upper Marlboro and Hagerstown, but we service areas beyond this, including Washington, DC, Rockville, Frederick, Baltimore and more. Get in touch with us today!